A portion of this project was generously sponsored by Lesley Nagel and the Lesley Nagel Brown Foundation. 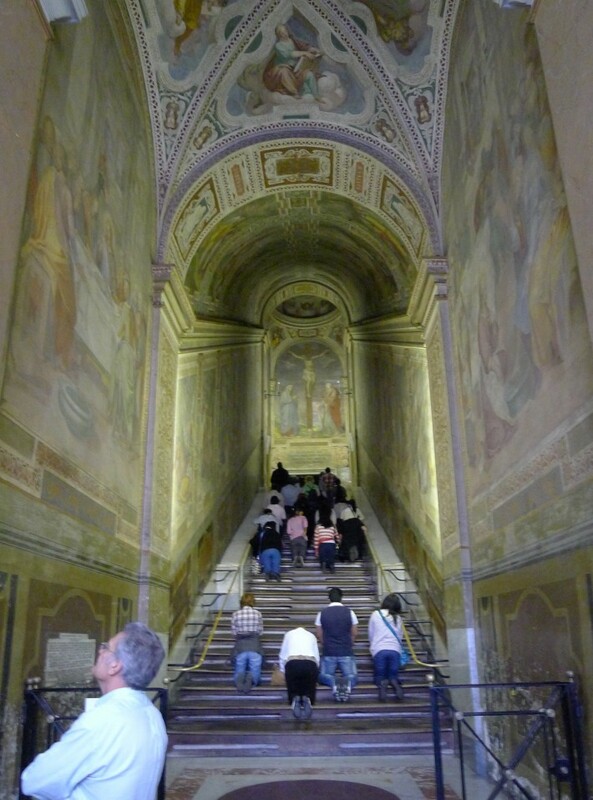 For centuries, the Scala Santa (Holy Stairs), brought by St. Helen from Jerusalem in 329 AD, has hosted countless pilgrims and visitors to this Pontifical Sanctuary dedicated to the Passion of Christ. It also houses the Sancta Sanctorum, the first private chapel of the Popes, completed in 1277. It marks the historical and spiritual origins of Christian Rome and is part of the extra-territorial domain of the Holy See, as is the Basilica of St. John Lateran nearby. But this unique complex is in great need of restoration; thanks to partners such as the Getty Foundation, the first phase has been completed and work is proceeding on the second – the Chapel of S. Lorenzo – thanks to the generosity of the Patrons of the Arts in the Vatican Museums. The North and South Carolina Chapter has initially supported this project, which has been adopted by the UK Chapter in London. Efforts must continue: there are four more areas to complete, including the Scala Santa itself. To contribute to saving the Holy Stairs is to invest in a major project that involves specialists, historians and restorers including the Vatican Museum’s Department of Conservation and Restoration. 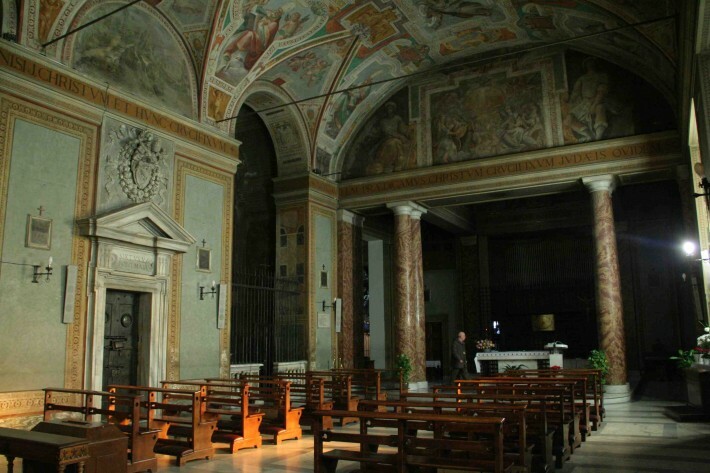 This is the last major restoration project in Rome treating the art of the late 16th century. Contact us today to learn how to play a part in this important restoration.